Win your 2019 wedding photography package, please enter below! 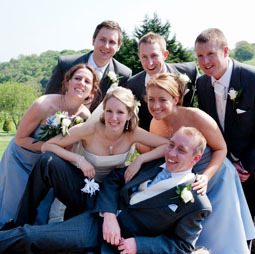 Contact us today to find out more about our wedding photography packages. A pre-wedding consultation / A high resolution personalised memory stick / 2 wedding photographers / A password protected online gallery. Two pre-wedding consultations / A high resolution personalised memory stick / 2 wedding photographers / A password protected online gallery. 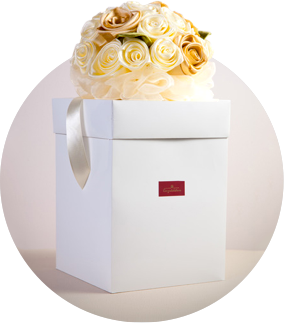 Please note; flights and two nights accommodation will need to be provided for any destination wedding prize draw. Which prize draw are you entering *? Please follow us on twitter to enter our competition @ NewPixels_Wed *? Our 2016 winners will be announced on our social media pages so make sure you like us on Facebook and Follow us on Twitter to find out if you have been our lucky winner! We like making people happy, thats why once a year we give people the chance to “win your wedding photography”. We also strongly believe in helping charities whenever we can, thats why we offer free wedding photography to a handful of friends from Wish-Apon-A-Wedding. 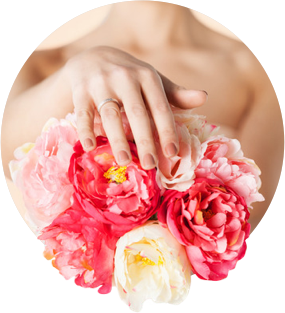 Wish-Apon-A-Wedding are a non-profit organisation providing weddings & vow renewals for couples facing terminal illness & other life-altering circumstances. New Pixels Photography strives to offer selected friends of the charity the most bespoke photographs free of charge. 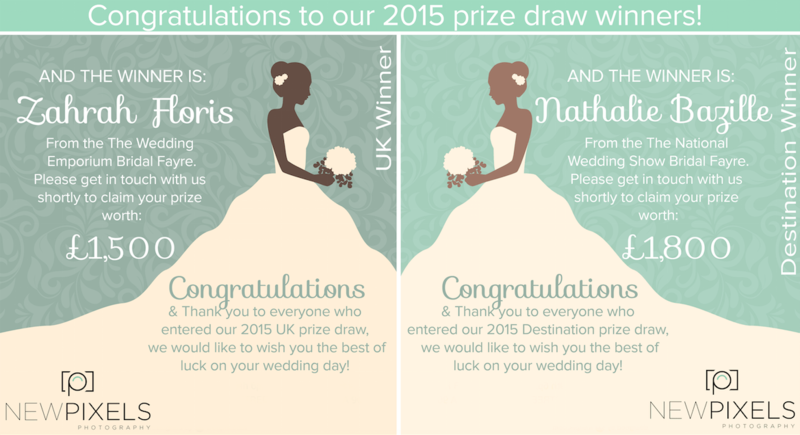 Thank you to everyone who took part in our 2016 win your wedding photography prize draws. We are now delighted to announce the UK winner is Zahrah Floris from The Wedding Emporium Bridal fayre and the 2016 Destination Winner is Nathalie Bazille from the National Wedding Show. We would also like to thank all of the couples that entered our competition at many other bridal fayres including; Woolston Manor, Essex, Eastfield Inn, Bristol, Cheese and Grain, Frome, Mc Donald spa hotel, Bath and finally the London National Wedding Show. We wish everyone lots of luck with our next prize draw and we thank you once again for taking part.